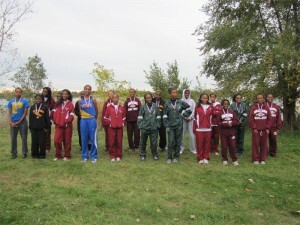 Cass Tech High’s boys’ and girls’ teams captured the Detroit Public School League-Eastside championships and Mumford High’s boys’ and girls’ teams each finished as PSL-Westside champions to close the cross country season at Belle Isle. Renaissance High’s boys and Mumford High’s girls won the PSL-Westside dual meet championship, while Cass Tech’s boys’ and girls’ teams doubled as the league’s Eastside dual meet champions. The top 20 individual finishers, led by Southwestern High’s CJ Sumner in the boys’ meet, and Pershing High’s Nijzah Hill in the girls’ race, made the PSL All-City team. 2010 PSL boys’ All-City cross country team: 1. CJ Sumner, Southwestern. 2. Robert Maddox, Mumford. 3. Delonte Henderson, Mumford. 4. Dillon Ward, Renaissance. 5. Mark Mayo, CMA. 6. Jason Moses, Cass Tech. 7. Toch Ndukwe, Renaissance. 8. Jermaine Tripp, Cass Tech. 9. Kevin Lewis, Renaissance. 10. Kenny Rubbet,Western. 11. Nicholas Williams, Cass Tech. 12. Akil Prowell, Crockett. 13. Raheem Marshall, Mumford. 14. Malik Albert, King. 15. Jerry Lovett, Cass Tech. 16. Carlos McSwain, King. 17. Michael Johnson, Central. 18. Austin Davis, Renaissance. 19. John Merriweather, King. 20. Jonathon Maxey, Cass Tech.